We reflect on the lessons of war and life and go silent at the the eleventh minute of the eleventh hour of the eleventh day of the eleventh month. This is the day we listen to one of the greatest and most moving songs ever written – “No Man’s Land” sung by Eric Bogle – young Willie McBride, dead in 1916. And on the news last night Tony Abbott is boasting of his cruelty to asylum seekers, and announcing, wait for it $400,000 (yes not $400 million !) to assist victims of the worst hurricane in recorded history -and in the same breath, urging the people we have elected to withdraw the most enlightened piece of legislation we have ever passed in the Parliament. Let me level with you from the start. I am angry at the election of George Bush. And let me pull rank as well. I am a qualified Christian Theologian with my degree hanging on my wall. And let me lay my cards on the table. I am deeply agnostic. I am not certain of the nature of God, or the existence of God in any sense normally understood. That is where I stand on belief. But people don’t talk about beliefs much these days, they tend to talk about values. I admit to being a values christian, a cultural Christian if you like. I am comfortable with the Christian thirst for justice, for compassion, for tolerance, for kindness, for peacemaking, for respect for even the least brethren. I was brought up on worker priest Pere Joseph Cardijn’s Dignity of the Human Person, Pope John XXIII’s Pacem in Terris on Human Rights. I was highly motivated by the Christopher movement’s “Better to light one candle than curse the darkness”. I was inspired by Pierre Tielhard de Chardin’s Divine Millieu in which he argues that we must accept evil, whilst never ceasing to fight against it. I love all that stuff. It is part of me. So I am infuriated at the “Christians” who voted for Bush, at the preachers who preached for Bush. Research declares that 21% of those who voted for Bush did so on the strength of his stand against abortion, gay marriage and stem cell research – all highly disputed moral positions, which matter little in the context of the continuous killing. There appeared to be no consciousness at all that Bush violated the universally agreed tenets of the JUST WAR – expounded by Aquinas, and agreed to by almost everyone. The main Christian tenet here is that war is a LAST RESORT. As Jimmy Carter pointed out – Bush did not go into war as a last resort. It was almost a first resort. And he went to war against the wrong enemy! And with the siege of Fallujah happening as I write this, he will compound his crimes. And everyone who voted for him will share his sin and his guilt. 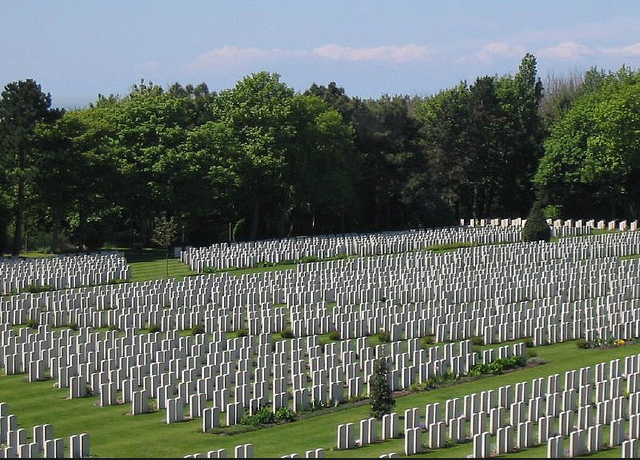 101 thousand dead means hundreds of thousands of blind, limbless, disabled, castrated. This means as well hundreds of thousands of traumatised, psychologically damaged people, including Americans and their families. What happened to the parable of the Good Samaritan? Where are the followers of the Jesus who had compassion on the dead, the sick, and the troubled? If you prick them do they not bleed? If you poison them do they not die? In the vote for Bush, in the Karl Rove play on harmful simplicities, the values are all wrong, the priorities inverted, the minds twisted. Can anyone seriously imagine Jesus, or Paul, or Francis of Assisi, or Martin Luther King , or Mahatma Ghandi, or Nelson Mandela wasting their vote and their preoccupation on gays in the bedroom while people are being killed; children are having their eyes blown out, and their arms blown off? And where are the Americans who believe in the Declaration of Independence, the Bill of Rights, and the Constitution – how can they sleep one night when Guantanamo Bay violates everything their country stands for. As Americans, how can they, why did they, vote for Bush? And Bush’s record of capital punishment in Texas? What does that say about the sanctity of life? You fight about the rights of the seed, at the same time as you chop down the tree? I look at him and I know he has not suffered pain or death. He does not understand. I do not see him in hospitals visiting the blinded, the armless, the legless, the shattered. 21% of persons declared they voted for Bush, because he is an American and a Christian. Do they mean that a Christian can dismiss all this suffering and define Christianity as the defence of a doubtful theory of the beginning of life, and how some people relate in the bedroom — in a way that harms or threatens no one. So is there American or Iraqi with God? Is there Muslim or Christian? is there Jew or Palestinian? Is there hetero or homosexual? – did not the Lord God make them all? And all this is compounded by the violation of Ancient Mesopotamia, the birthplace of Western Civilisation. Two American wars have meant the further destruction of the ancient sites of Ur, Uruk, Babylon, Nineveh and the many places of Jewish and Christian and Muslim heritage. — This crime does not even rate a mention. I find it hard to believe that people were so dumb as to fall for the shallow Karl Rove slogans so obviously built on fear and tribal prejudice. Bush’s election means that he is now holding his own poisoned chalice. As he drinks it, he may realise that God is not on his side. He might even share John Kerry’s hope, and wished he would have been on God’s side.